« My Sportsbook Account is Tapped, Should I Redeposit? 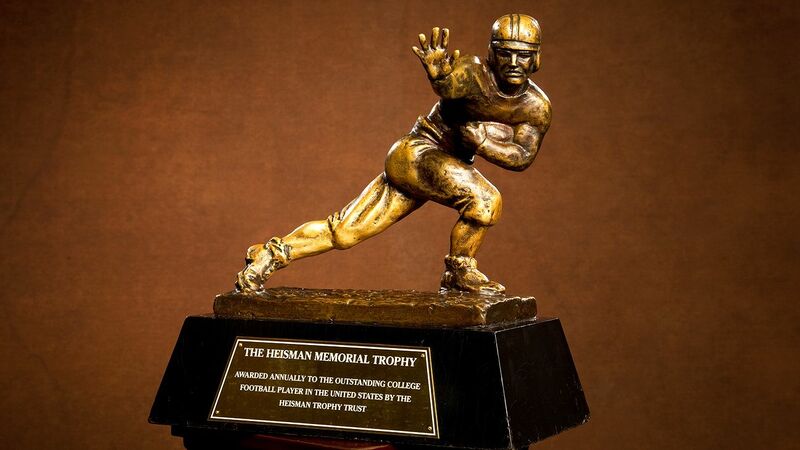 On December 8, 2018 at 8pm EST on ESPN the 2018 Heisman Trophy will be awarded to the college football player who was deemed most valuable by the large panel of voters. Voting concluded yesterday and this year only three finalists were announced vs the usual three or four players. One game can really screw up your chances at this thing apparently as Tua Tagoviloa was the odds on favorite all year-long until last week when he left the game vs Georgia with an injury. Backup QB Jalen Hurts came into the game and pulled out the win. It also didn’t help Tua’s cause that over in the Big 12 Championship, Kyler Murray had a fantastic game and pulled out the win that got his team into the championship playoff series. He threw for 379 yards and ran for another 39 in that game (scored three TD’s). In my mind Tua still deserves the trophy and I think there is value at betting him +140. Place your bet now at a top rated online sportsbook.